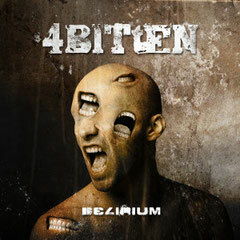 4Bitten is a hard rock band from Athens, Greece and was originally formed in 2002. Influenced by some of the rock titans of the last 4 decades such as Led Zeppelin, Black Sabbath, Janis Joplin, Alice In Chains and Metallica. Following the UK tours in 2010, 4Bitten played in Athens as support to NWOBHM heroes The Tygers Of Pan Tang and also toured Greece opening for former-Iron Maiden frontman Blaze Bayley. Now their 2nd album DELIRIUM is released from ROCKSECTOR RECORDS on April 23, 2012.